We announce with pride that TripAdvisor has deemed worthy of the prestigious Certificate of Excellence in 2015. 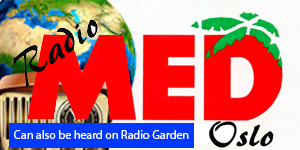 Now you can hear directly from our site Med Radio Oslo. In Italy there is a very popular beer, Peroni, produced for over 150 years. Peroni beer is brewed with the original recipe, baptized by the founder as the "4 Ingredients": filtered water aqueduct, barley malt, spring planting, corn and national Hops "Saaz-Saaz." With us you can taste it "on tap." How is served in taverns Italian from Piedmont to Sicily. The Tavern is dedicated to the memory of Roald Amundsen and commander Umberto Nobile, the first men in history to reach the North Pole in May 1926. We were inspired by the traditional italian tavern that still survives today mainly in the southern part of the country, we have the dishes are served in a relaxed and informal, and where the prices are affordable. This Taverna is a celebration of the theorem that Italians and norwegians, together, they can go to the moon! In 1926, flying over the North Pole with un'aereomobile designed and driven by an Italian, with the most famous explorer of all time, was just like going to the moon ... This and other stories, the new book by Dino Luglio. See the Tg2 review.